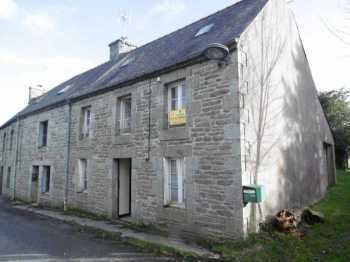 AHIB-1-PO-46 Bulat Pestivien 22160 Surprisingly spacious stone and slate 4/5 bedroom village house close to the popular town of Callac. Traditional town house in a lively village, with two bars,shop and restaurant. It is quite habitable but would benefit from some modernising.